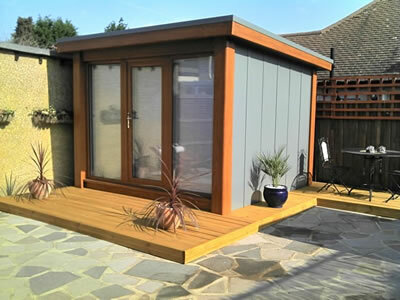 I’m the kind of person who does three hours of research before buying a mop, so it’s no surprise that I’ve looked at a lot of garden office companies. A lot. All of this research has clarified a couple of things: I can buy a timber building (with insulation) and put it up myself and spend around four thousand pounds. 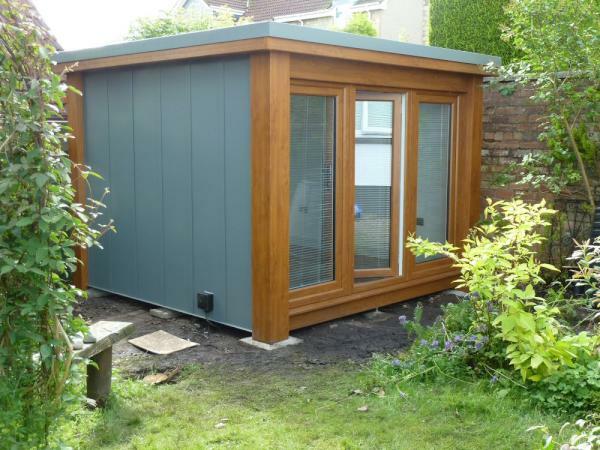 Or, I can spend between seven and ten thousand pounds and get something that comes with a decent warranty, has a long-life (maintenance-free) exterior, is installed by the professionals and is fully wired and ready to go. In the second category (let’s be honest, that’s the option I’m going for), I found a new contender. While I still like the outside appearance of the Henley, the inside felt a little bit ‘officey’. Yes, I know; I want an office, but primarily it’s a writing space. In an ideal world, I’d like a slightly more ‘arty’ vibe. I like the big windows and the fact that I’ll get more space for my cash. I need to go and have a look at one before I plump, but I’m very excited; a decision is imminent!